Jeff Glucker January 12, 2016 Comment Now! GMC has pulled back the sheet on its all-new 2017 Acadia. The vehicle before you has slimmed down while upping its available power, and it's done that in an attempt to tackle the rest of the mid-size crossover competition out there. 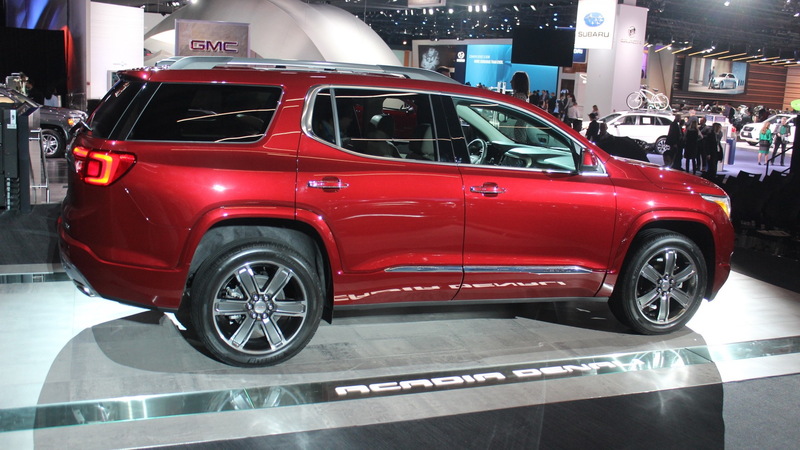 General Motors Company [NYSE:GM] engineers were able to scale down the new Acadia by 700 pounds over the outgoing model. That huge drop helps increase fuel efficiency while it should also see an improvement in overall driving dynamics. At the heart of the new Acadia lies a choice in powertrain options. The base engine is a 2.5-liter four-cylinder unit that produces 194 horsepower and 190 pound-feet of torque. If you step up to the higher-spec engine, you'll find a 3.6-liter V-6 that's good for 310 hp and 271 lb-ft of torque. That's a healthy jump over the outgoing model's 288 hp. Both engines are paired with a six-speed automatic gearbox and can be had with front-wheel or all-wheel drive. 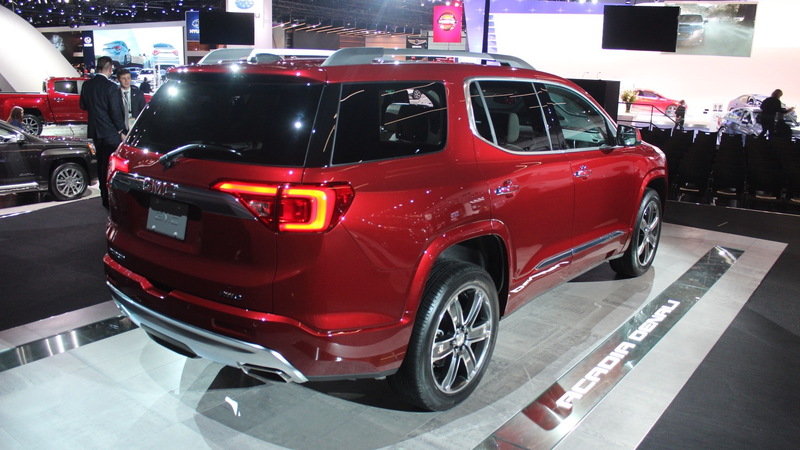 The 2017 Acadia boasts a revised body structure that is shorter and more narrow than the 2016 version it replaces. At 193.6 inches in length, it is 7.2 in shorter than the model it replaces. The wheelbase is 6.4 in shorter. That's part of the reason GM was able to get the curb weight of the base front-wheel-drive version under the 4,000-lb mark. 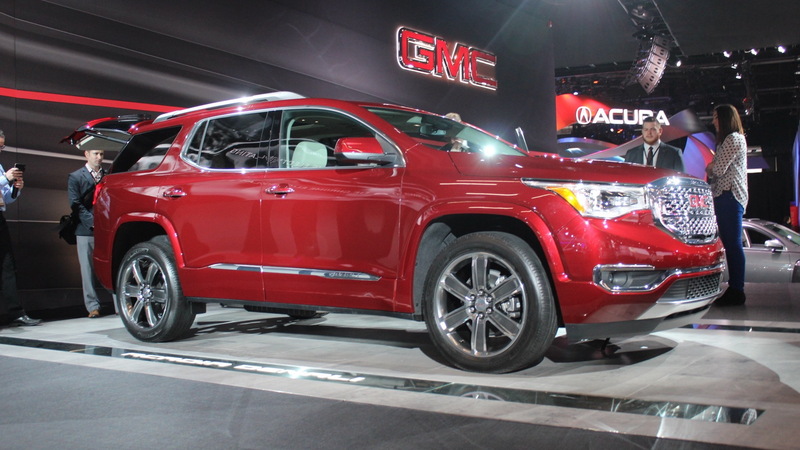 It sits at 3,956 lb, which is rather impressive for a modern mid-size crossover. Additional weight savings came from the adoption of GM's new C1XX platform designed for mid- and large-size crossovers, which features multi-material construction. The C1XX, nicknamed Chi, made its debut in the 2017 Cadillac XT5 and is the replacement for GM’s older Theta and Lambda platforms. The outgoing Acadia is based on the Lambda platform. 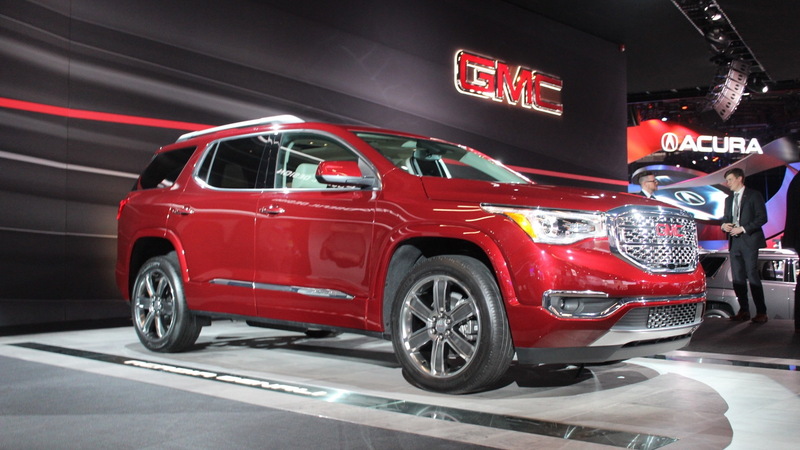 It's important for GMC to offer up its new Acadia with all of the tech you'd expect to find in a new GM vehicle. 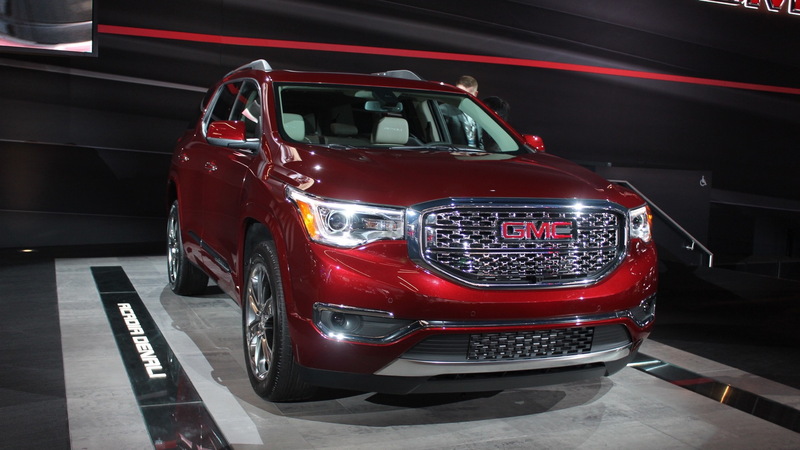 Items such as 4G LTE onboard, a camera system that helps with towing, and forward automatic braking help the Acadia stand out a bit when compared to competition from the likes of the Honda Pilot, Jeep Grand Cherokee and Toyota Highlander. No word on pricing yet but that should be coming soon as the 2017 Acadia is set for sale sometime this spring. It has some big shoes to fill. Despite being in its final year on the market, the outgoing model's sales in 2015 totaled 96,393 units, its best year ever.